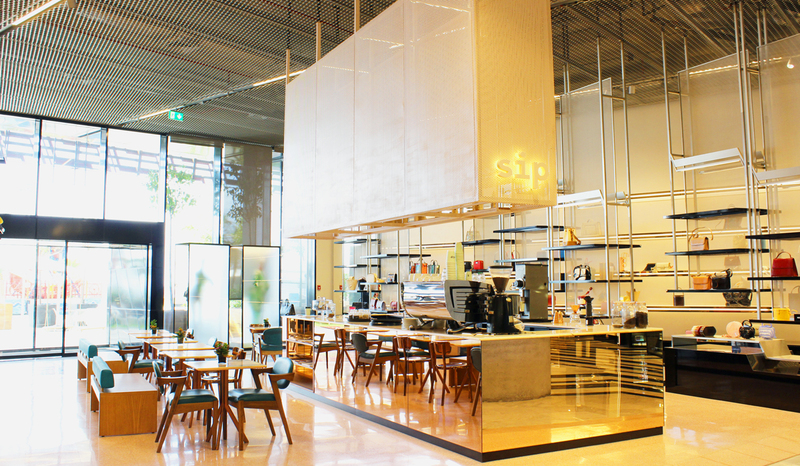 Sip has joined Aishti by the Sea’s restaurant community to bring a seamlessly integrated coffee/shopping experience to the public. Designed by Accent DG, Sip specialty coffee is not a typical franchise; it's designed to become vernacular based on the location of each shop. Sip acts like a local neighborhood coffee shop; it is regenerated at every location to with the goal to become more specific and more local, maintaining the spirit of the brand. Sip is designed for each unique location by Accent DG to blend in with its immediate context, and to be more specific to its direct end users. The intervention at Aishti by the Sea was approached at two levels: the indoor venue within the high end shopping experience, and the outdoor zone relating to the Mediterranean and a more informal context. 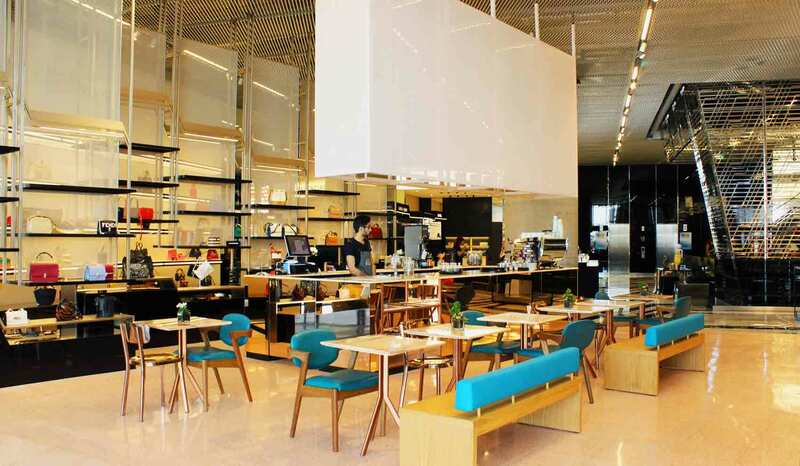 The intention was to blend the shopping and coffee experience together. Following the directionality of the existing structure of the shopping center, Sip was inserted as part of the existing flow. A pink platform immersed in the existing glossy context highlights the coffee station. The coffee bar designed to become part of the display, respecting the existing directionality, yet emerging as a prominent stop along the promenade. 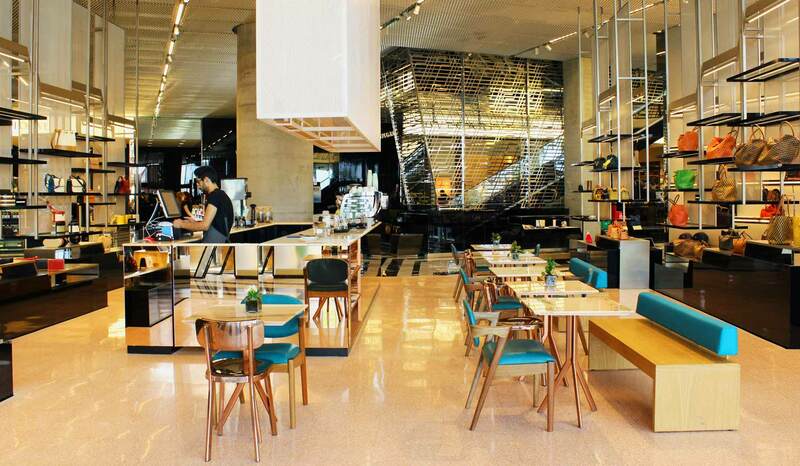 The brand’s material and original color scheme, found at its first branch in Gemmayzeh, was maintained yet reinterpreted to communicate more effectively with the high-end users. The outdoor intervention was tackled in a different manner. The terrace opens up to the Mediterranean Sea, and acts as more of a fun informal space. 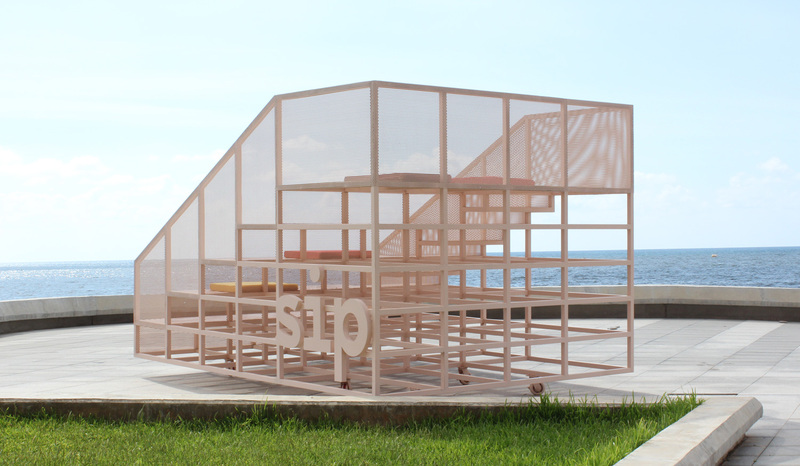 Sip was inserted as an intimate secret garden within this sea front terrace. Sip’s patio provides a casual relaxed atmosphere that connects you to, the Mediterranean, the coffee and the sky. Swings are placed alongside daybeds for the interactive outdoor. A mobile amphitheater was introduced as an urban toy, to add to the collection of the existing outdoor follies. It is an interactive structure that moves along the vast terrace by the user, altering the surrounding context, for a more personalized/interactive experience. 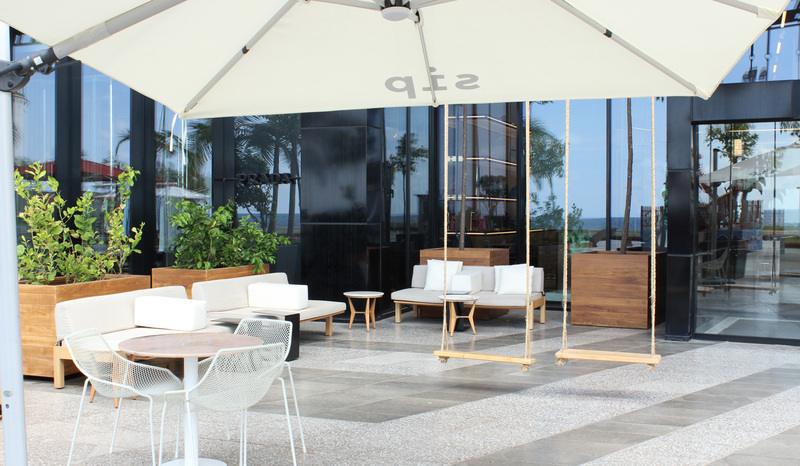 Accent DG blended Sip’s casual coffee experience within the glossy interior of the shopping mall yet created a casual intimate garden/patio relating to the sea along the outdoor terrace.